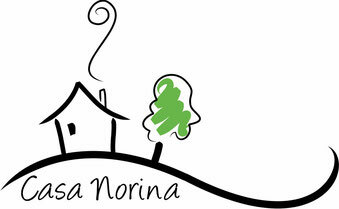 Casa Norina is a historic farmhouse and sits at the end of a private street on an olive grove, so the respite from the hectic everyday life is guaranteed. Our 10,000 sqm, fully fenced garden with swimming pool offers not only plenty of own fruit and vegetables, plenty of room to relax. From the house you can reach the Adriatic Sea in 15 minutes, with its sandy and pebble beaches, sights of all kinds can be found in the immediate vicinity. The nearest shopping facility is in Notaresco, our home community, 3 km away. Here, for example, a beautiful market takes place weekly, where there are not only regional products directly from the producer, but everything for everyday needs. Where ' our ' cheese woman stands with her homemade peccorino, we are happy to tell you! Since 2015, we have been offering not only rental apartments, but also the opportunity to spend the Holiday on horseback. With us individually or even combined, anything is possible!